Home | Blog | Ask Our Experts: What is a Whole-House Fan? A covering for a whole-house fan. A whole-house fan is a large fan installed in your attic or otherwise above the top floor of your home that keeps air circulating throughout the home. This may have a cooling effect in warm weather depending upon your geographic location and other environmental variables. Whole-house fans are generally not advisable for use in South Central PA – but your unique situation may warrant their consideration. A whole-house fan is a large fan that’s installed in the attic or otherwise above the top floor of your home. Its purpose is to pull air up and out of the home, exhausting the air through a vent near the top of your home. In other words, a whole-house fan serves to circulate fresh air into your home, naturally changing the temperate to a more comfortable one. Whole-house fans are generally used for cooling purposes at nights in the summer (as for the daytime, the outdoor air will be hotter than indoor air; thus, you’d want to keep the home sealed tight in order to keep the cool air indoors). When the outdoor air temperature falls below the indoor air temperature in the evening, you’d open doors and windows (both screened) and turn on the whole-house fan. The fan will draw the cooler outdoor air into the house, up through the top floor, and out the vent in the attic. In South Central Pennsylvania, this scenario may not always be practical given regional humidity levels and other environmental variables. In our area, a whole-house fan may be used to supplement a traditional HVAC system in the spring and fall when temperatures and humidity levels are moderate enough such that air circulation is the primary desired effect of the whole-house fan system. Whole-house fans cannot be used to completely replace a traditional HVAC system in South Central PA mainly due to humidity concerns. Some people can tolerate high temperatures in the summer if air circulation is good enough – but humidity is an entirely different animal. Additionally, whole-house fans don’t do much to address heating needs in the winter (and, actually, whole-house fan owners should be careful to properly seal or cover the fan during winter months so as not to lose heat during the cold season). Given this discussion, it’s reasonable to come to the conclusion that whole-house fans are generally not advisable for use in South Central PA. However, everyone has a unique situation, and there may be some instances when a whole-house fan is the best fit for your cooling needs. Give us a call to discuss! In South Central PA, whole-house fans may be used to supplement traditional HVAC systems in the spring or fall if you’re mainly concerned with additional air circulation. 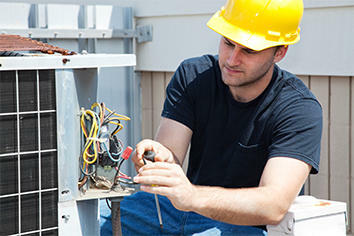 In our region, whole-house fans will not be much assistance in the summer or the winter. As such, they may not be worth the investment.